of course they can be removed. Only by un-soldering, I think. There appear to be short coax cables with ufl plugs at both ends, which can be removed. 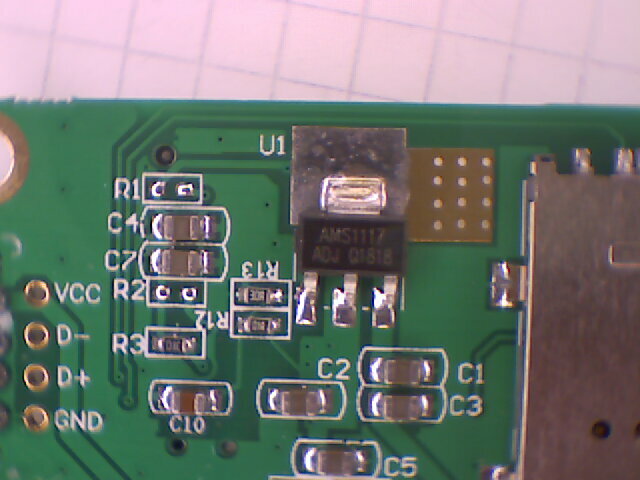 But the sma sockets appear to be soldered to the board. Yes, I agree, it’s a bit more involved than I thought. Update I have checked, you can’t use the integrated pigtails because they have the wrong gender for typical ISM antenna. So you have to unsolder or better just cut one of the SMA sockets and replace it with a pigtail. Un-soldering would be less difficult and safer. 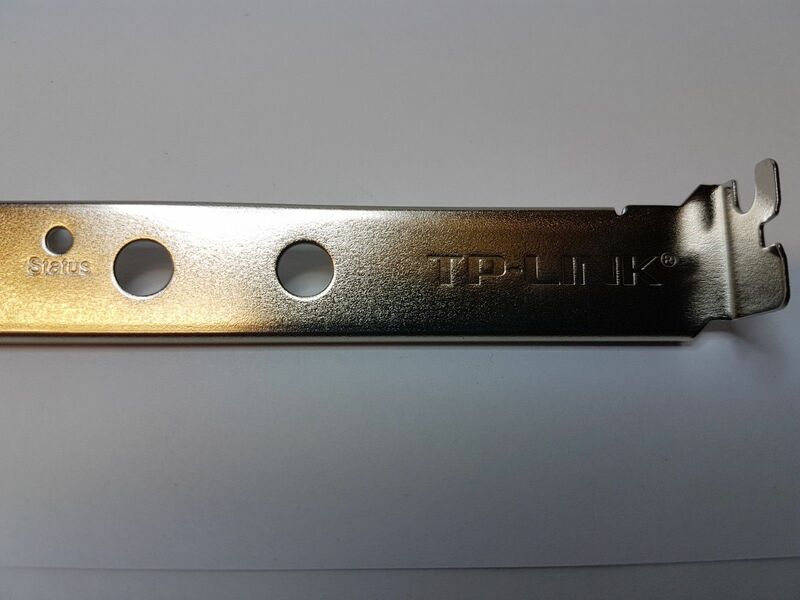 Those connectors are solid brass. Or drill a third hole in the bracket for the n-fuse pigtail. I also discovered that this card does not provide usb ports as @nestorayuso believed. 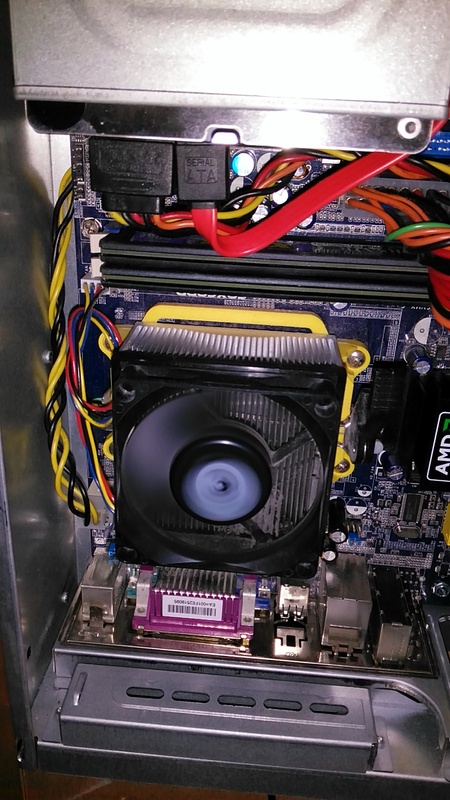 It must be connected to a usb pin header on the motherboard. 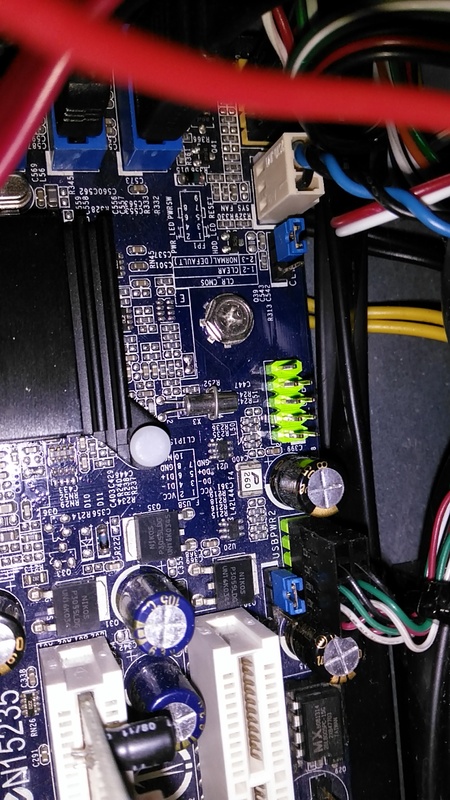 One port is connected to the mini-pcie socket and the other is connected to the usb socket on the adaptor. 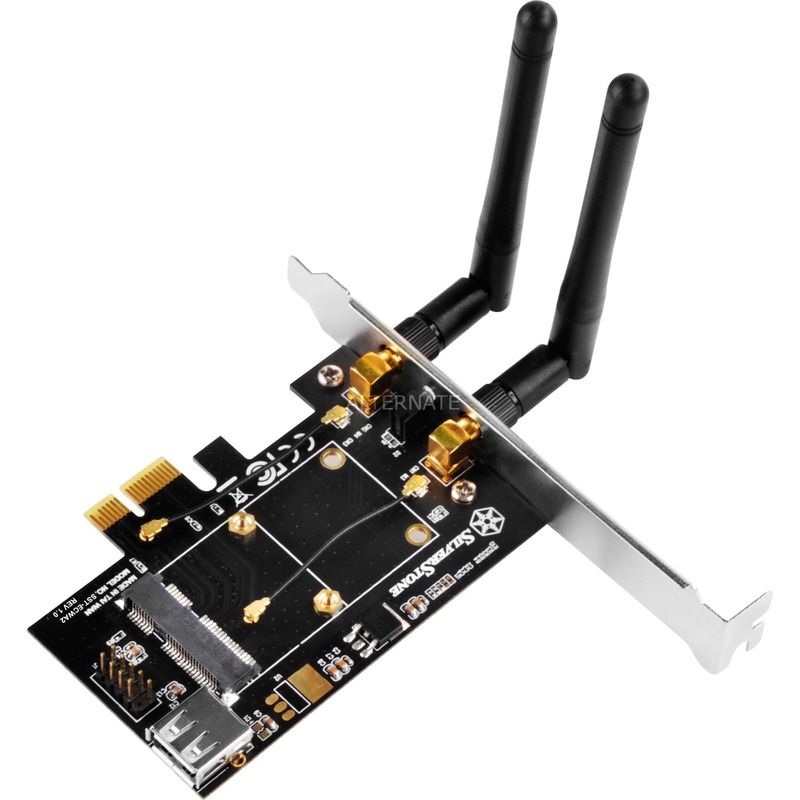 So this card would occupy a pcie slot in my server but not use it in any way, and it would also occupy a usb header from the motherboard. I no longer think that this adaptor card would be a simple or neat solution. I will research other cards. But if none can be found (at reasonable price) then the external usb adaptor offered by n-fuse may be a more neat and simple solution. 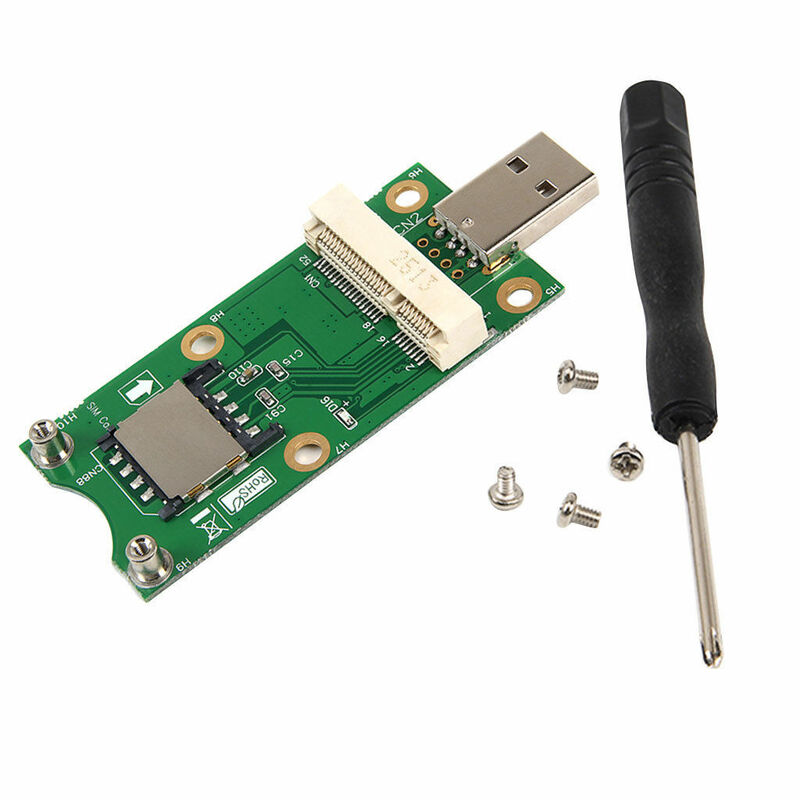 As I told you before, you will need a Card with USB connector because there is no USB signal on the PCI bus. 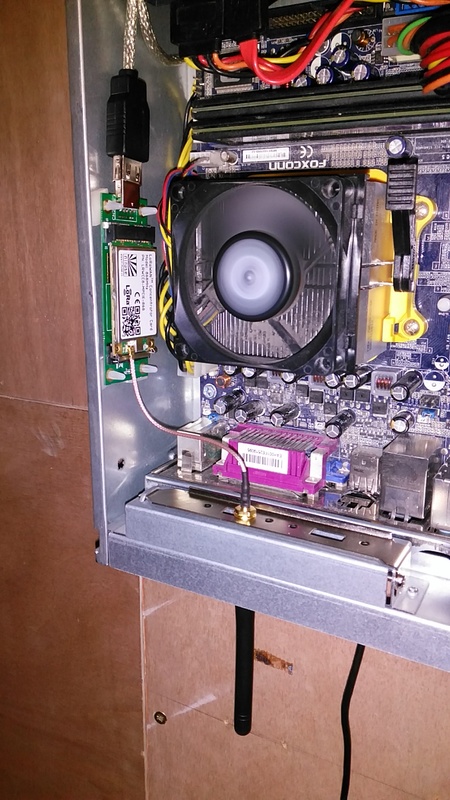 So there is no other easy way to use such a card and thus it IS the simplest solution I see for a normal desktop or server class host w/o mini PCIe port. @Vanthome can you please comment about the compatibility of the above linked adaptor (picture below) with the n-fuse concentrator? 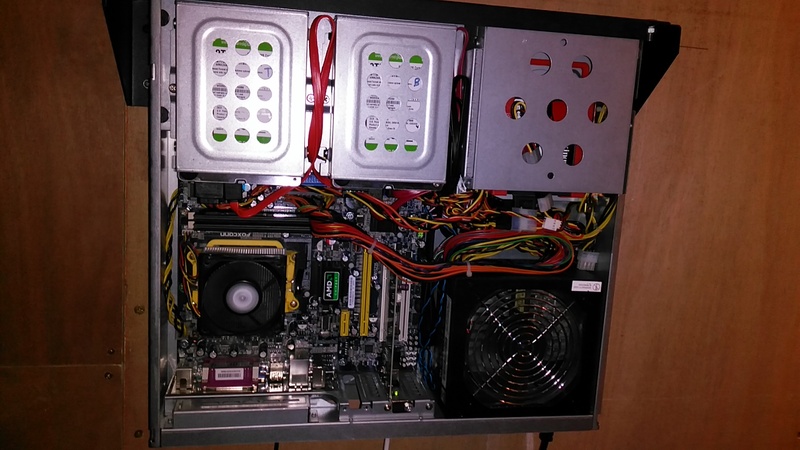 Above (in front of, in the picture below) the motherboard’s main connector panel there is a slot for mounting space for a full height bracket. Such adapters are usable for our concentrator card LRWCCx-MPCIE. The advantage of this adapter is that you can connect it to the USB port via a cable. Something to watch out for with randomly sourced mPCIe adapters intended for mobile data modems is that a lot of the cheap ones supply substantially more than 3.3 volts. So make sure to measure the regulator output and decide it is appropraite before putting your LoRa card in there. If the voltage is too high, it’s easy to rework them with a fixed 3-terminal regulator and grounding out the adjust pad, or by changing the resistors on an adjustable regulator to produce an allowed voltage. Also consider cooling as the SX1301 chip will produce a fair amount of heat once the packet forwarder fully starts it up. Thanks for the warnings, @cslorabox. Actually not hard at all as you don’t have to probe the mPCIe itself. There are plenty of grounds on such a board, and the tab on modern positive 3 terminal regulators is usually their output. 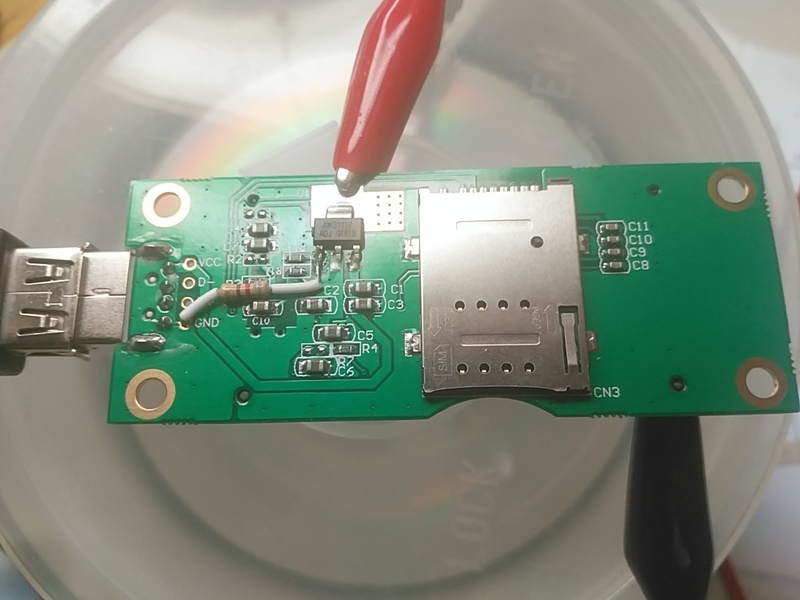 If you’re worried about a probe slipping do the regulator voltage test with a USB power source you don’t particularly care about, and of course the LoRa card is not yet installed. Incidentally the board in the hackster link is visually identical to those I found with the regulator set to output excessive voltage. @cslorabox You were right. The regulator output on my “randomly sourced” adaptor is 3.77V. But that is with no load. 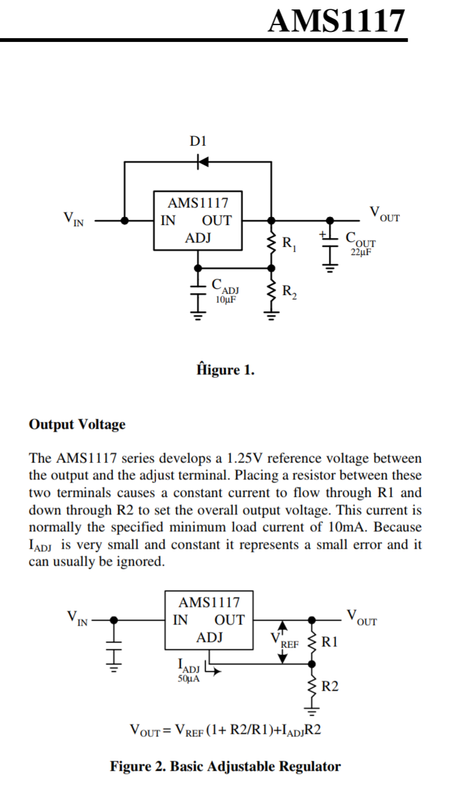 Could it be that it would be closer to the expected 3.3V with a load? EDIT: No, loading it does not help. I shorted the regulator tab to ground with 330R. Around 11.3mA flowed, as you would expect @ 3.77V. Looks like R12 & R13 on the adaptor are R1 & R2 in the above schematic. You were right. 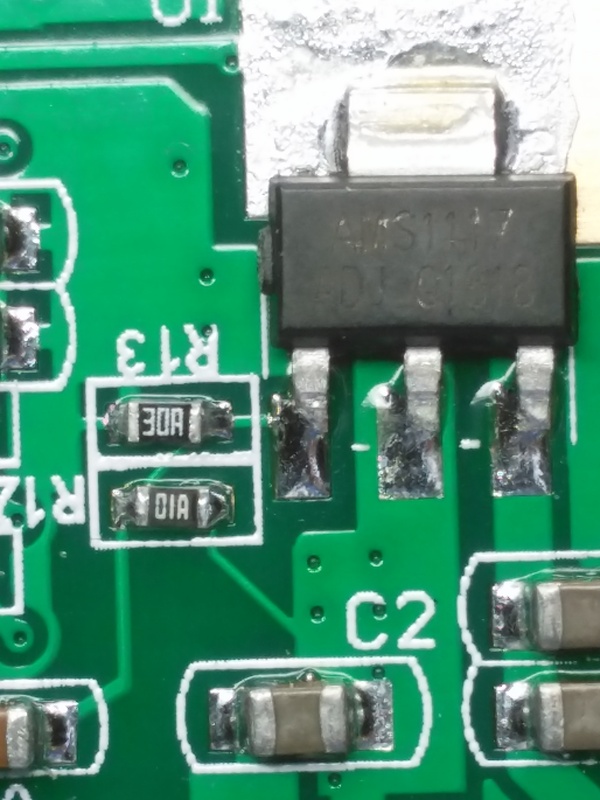 The regulator output on my “randomly sourced” adaptor is 3.77V. But that is with no load. Could it be that it would be closer to the expected 3.3V with a load? Not really - that would only happen on the edge of failure. Regulator failure would hopefully result in a shutdown, so really the only way you’d see droop would be loss on the input (USB/wiring) side. But setting the setpoint higher doesn’t help with that. It looks like SX1301 operational max is 3.6 volts while the “absolute maximum” is 4.0, but you are not supposed to run parts beyond their operational ratings, and there are also other chips in a concentrator. My feeling is that this higher voltage was chosen because someone thought it would work better with the mobile data modems for which these adapters are intended. I personally just change out the regulator for a 3.3v fixed model and ground the adjust terminal (as it is a ground terminal on the fixed models). But you can also recalculate the resistors if you prefer. Or you can make your own decision to chance running it as is. 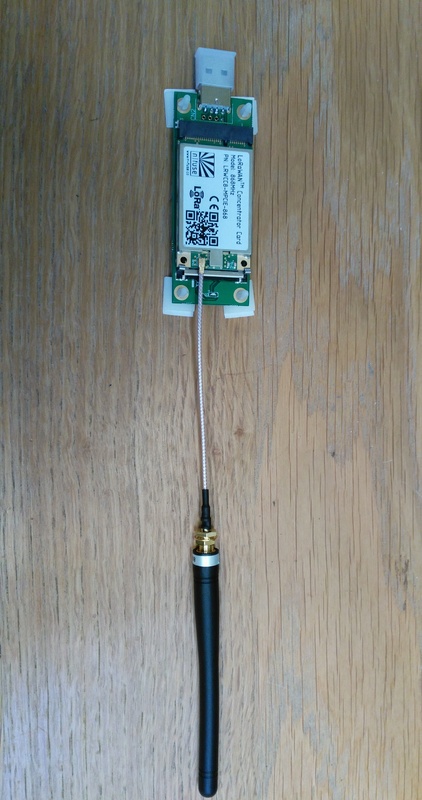 I decided the LoRa modems are expensive enough I’d prefer to be careful of them. For that matter, I’m also using mine with tiny wires pulling the non-standard SPI lines off the mPCIe connector, so it’s been on the to-do list to just make a more suitable board, make it out of thicker PCB stock, and perhaps leave the actual area where the modem sits open for better cooling. I think these are EIA SMD resistor codes. Which is close to what I measure. 820R soldered in place. Regulator output is now 3.27V. Job done! Concentrator card has arrived. Now I need to find some time to install it! UPDATE: All steps completed. Gateway is up and running and receiving its first packets! Thanks again @Vanthome and @cslorabox for the advice. Looks like I may have the same issue as described in the Hackster.io article. 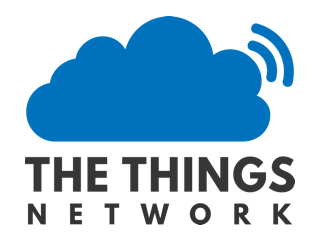 After a reboot, the packet forwarder service starts, but the gateway does not connect with TNN. Apr 01 20:54:14 granary systemd: Started Semtech packet-forwarder. Authentication is required to stop 'pkt_fwd.service'. Authentication is required to start 'pkt_fwd.service'. Apr 01 21:04:23 granary systemd: pkt_fwd.service: Failed with result 'exit-code'. Apr 01 21:04:23 granary systemd: Stopped Semtech packet-forwarder. Apr 01 21:04:37 granary systemd: Started Semtech packet-forwarder. After a reboot, the packet forwarder service starts, but the gateway does not connect with TNN. Maybe it doesn’t like being run before you have network connectivity? Often service startup scripts can be set to have an order. That said, no matter what your network backhaul is, you should assume that it will go down (and hopefully come back up) in operation. I ended up with a multi-level watchdog, on the network link itself, and ultimately on the packet forwarder stats packets being bounced back from a server setup to do that. Either failure will ultimately reboot the gateway if it persists long enough. Apr 01 21:14:05 granary systemd: Started Semtech packet-forwarder. Apr 01 21:14:05 granary systemd: pkt_fwd.service: Failed with result 'exit-code'.